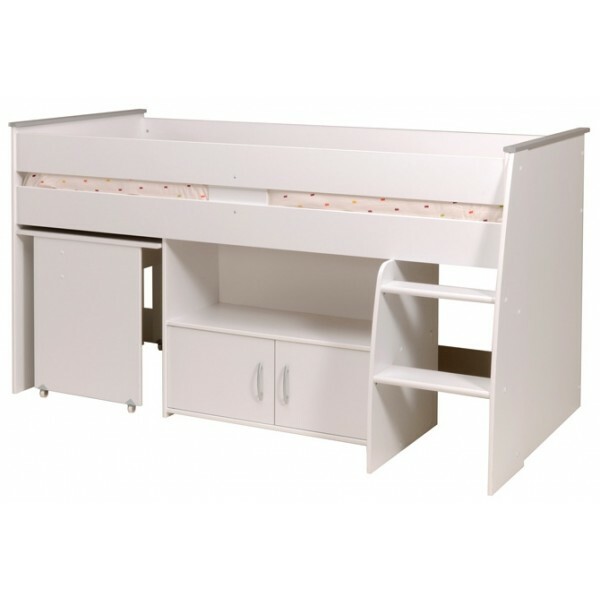 Why not grab yourself a bargain with this gorgeous Swan white Parisot Reverse midsleeper bed is a wonderfully stylish, comfortable and practical bed. The enclosed raised sleeping platform creates a snug bed which is accessed by integral steps. 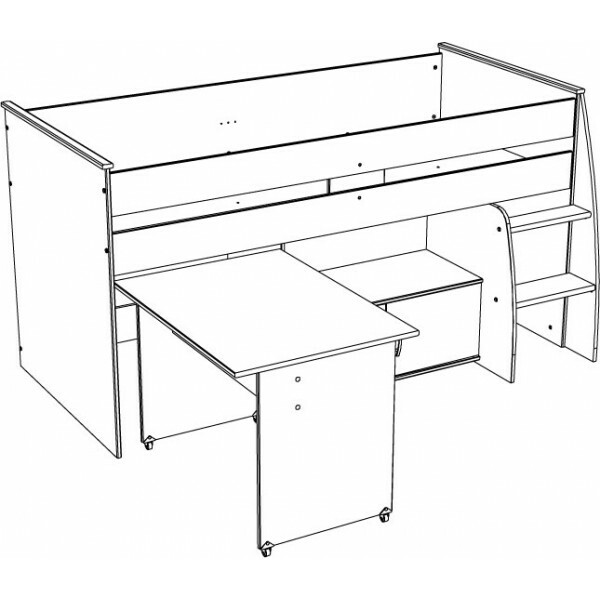 Integrity is added to the structure by way of a super shelf and cupboard unit, perfect for storage of books, toys and games. 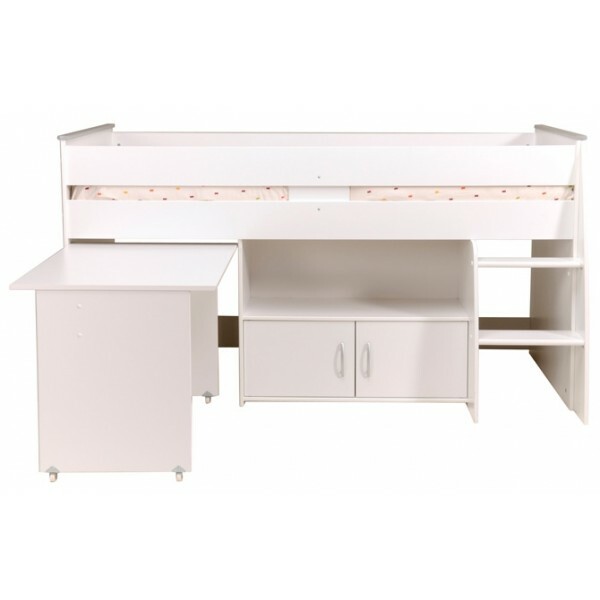 But the principal feature is the desk that glides on castors from beneath the bed and can be easily rolled away when not in use. TO RECEIVE YOUR FREE BUNKYLIGHT TICK THE BOX ABOVE. 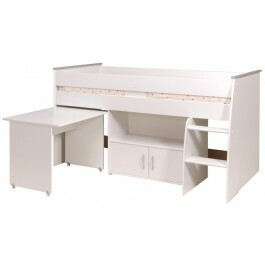 Your Parisot Reverse midsleeper bed will arrive flat packed for self-assembly 2 - 4 weeks after we receive your order.